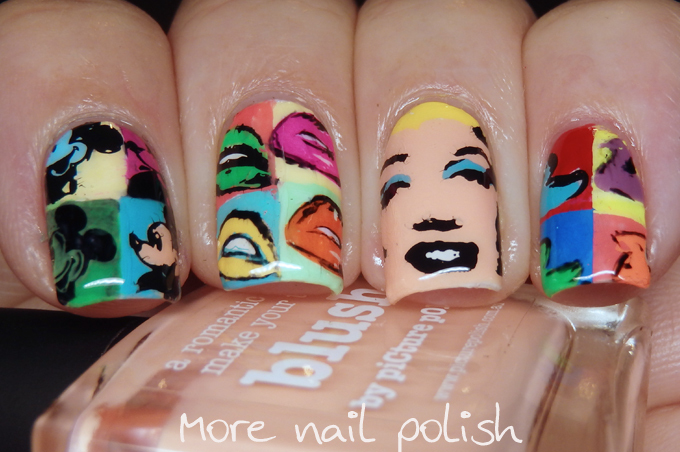 Me - I'll just do a real quick reverse stamped mani with some pop art on it for Day 4. Me two hours later - Why is this so slow and impossible to do neatly!! I saw my Moyou Pro Collection 10 plate and thought I'd made a really quick and easy choice for today's design, but it turned out to be very time consuming and hard to look neat. 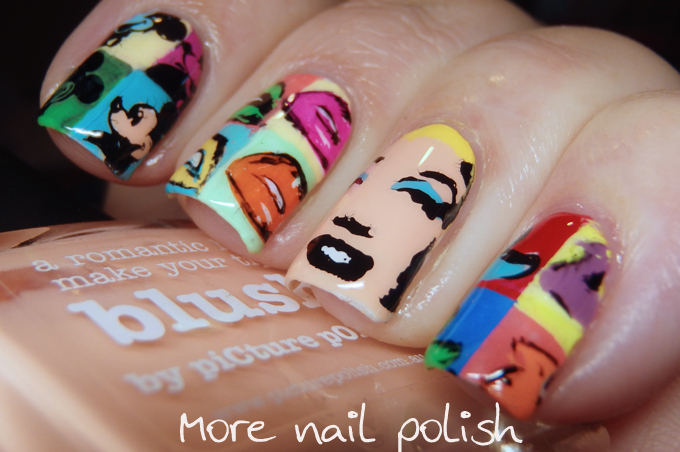 I also wish the Marilyn image was a bit smaller so I could actually fit her hair onto the nail. I guess I could have tried that squishy technique where you squish the stamper inwards before putting it onto the nail, but I thought if I tried that for the first time with a image of a face, she may not end up looking like Marilyn at all. Actually I wish all the images were a bit smaller so you could see Micky, the lips and the ducks in full. The end look was pretty psychedelic across all my nails. Lots of bright colours, that is for sure and I do feel like I did ok with the Pop Art theme. 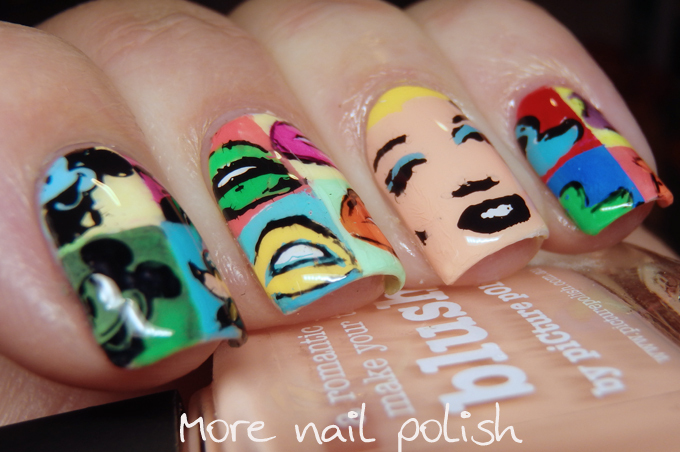 What a fun Pop Art look! Wow, these are so cool! I love all the colors! 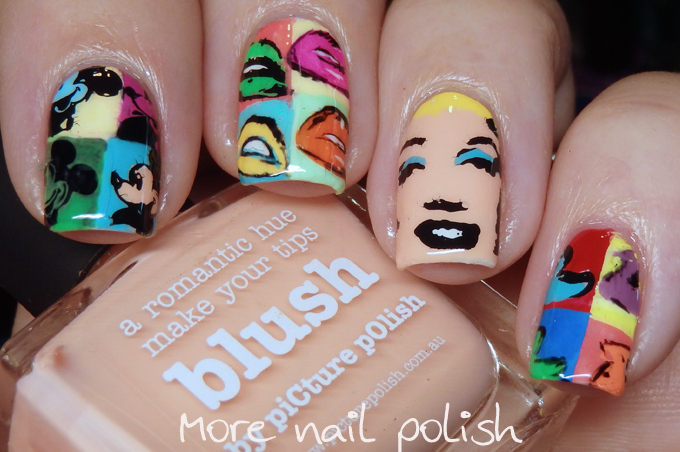 I love this nail art so much! I really need to use these images, I have the plate!